The first electronic music studio at Brandeis was established in 1961 by Gustav Ciamaga. Since its inception the studio has been directed by Alvin Lucier, Harold Shapero, and, currently, Eric Chasalow. Preceding the studio at Brandeis, the first ever performance of Musique Concrete in the United States took place at the Brandeis Festival of the Arts in 1952, in which Merce Cunningham developed accompanying choreography. What separates BEAMS from many other studios in the country is the emphasis on using the studio as a tool to create music. 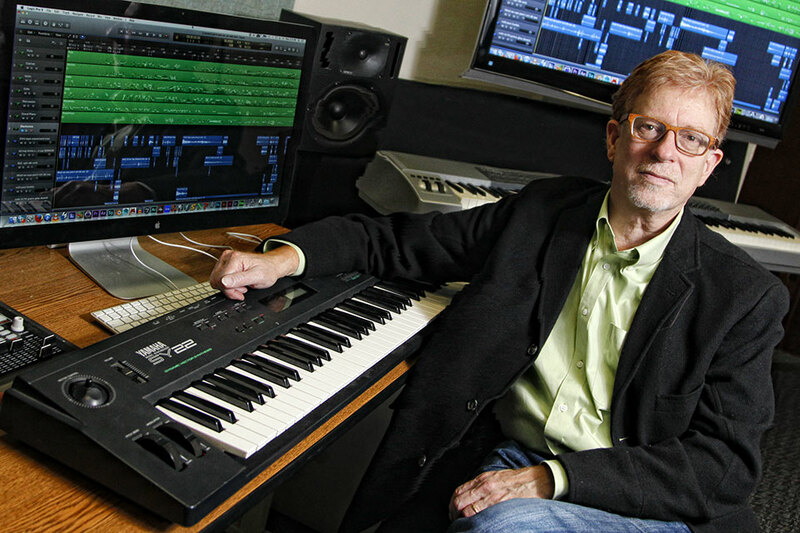 This emphasis on music, rather than developing new technology, has been an integral part of the Composition Department's formula for success. The studio also presents opportunities for study abroad for both graduate and advanced undergraduate students. We have ties to studios in England (Cambridge and City of London), France (Paris 8), Italy, and Sweden (Royal Music School). In addition, The studio is frequently utilized across the disciplines by students in Fine Arts, Theater (Sound Design), and Film Studies. Student assistants, both undergraduate and graduate, are actively involved in the studio and we maintain relationships with the music technology companies in the area. Students, faculty, and visiting guest composers have access to facilities that fully integrate digital synthesis and recording equipment as well as vintage analog gear. In recent years, the studio has undergone many changes and upgrades and includes a variety of hardware and software including a Kyma Digital Audio Workstation, A Buchla, and Waves. Learn more about what equipment is available. Brandeis PhD graduates with a focus on Electro-Acoustic music are now on the staff or directing studios at prominent universities including the University of North Carolina Chapel Hill, the University of North Texas, and the University of Arizona. John Mallia, a recent PhD, has been hired to build a new studio at New England Conservatory of Music. Most of our graduate students in recent years have had music programmed on the SEAMUS Festival and/or the International Computer Music Conference. Both festivals are extremely competitive and our annual participation in these events belies our small size relative to other studios. In 2002, the directors of the Computer Art Festival of Padova, Italy, programmed a special concert featuring five BEAMS composers: Eric Chasalow, Lou Bunk, Derek Hurst, John Mallia, and Hillary Zipper.